A casual read through the gospels will reveal our Lord’s special love for children and His desire for us to have their disposition. There is a tender innocence toward faith and teachability which Jesus recognized in the children of his culture, and He pointed this out in several of His teachings to the disciples. When our Lord walked the shores of Galilee, one thing was for sure… children were dear to His heart and were given free access into His presence. With that in mind, several have asked how Susanne and I began the orphanage in India. 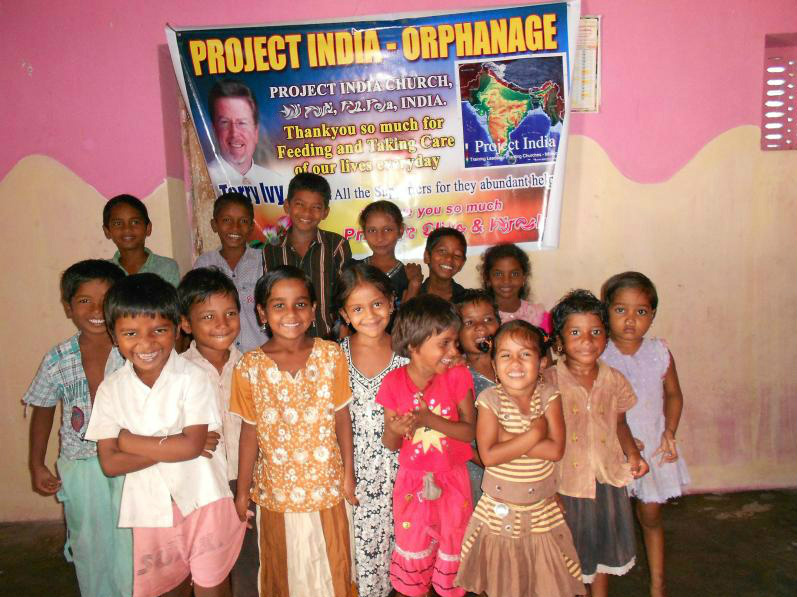 Here is the brief story behind the PROJECT INDIA Orphanage. The Lord, by His providence and grace, opened up connections with indigenous pastors and missionaries in India. I began working with them through telephone conferences and outreach meetings. This led to the need to help train church planters for the work of taking the gospel to unreached rural villages which have never heard the name of Jesus. Therefore, we scheduled a three day conference to provide some of the training to these men. We planned on having the conference in the later part of September. However, the week before the conference, some of the monsoon rains, which are prominent in India, set in and caused major flooding. The rivers quickly swelled to dangerous levels. The roads, many of which are no more than walking trails, became impassable. Some of the church planters were going to walk 10-20 miles to attend the conference, but could not reach the conference sight. Because of this, we were forced to postpone the conference until the weather would permit travel. A week later, Bro John received news of devastation from one of the villages located beside a swollen river. This interior village had experienced dangerous flooding whereby over 20 homes were destroyed by the raging waters. Many villagers were killed by the flooding. When Bro John and his team of pastors reached the village, they discovered great heartache and destruction. Eight church members also perished in the flood waters. This small church of 45 had lost 1/6th of its membership to flash flooding. The scene was heart breaking. Then it happened. As they were checking on the families and villagers, they found 16 children bundled up together and sleeping under a tree. They had been there for over two days and nights without food or water. Their parents were killed in the flooding and they were all alone. While standing there asking the Lord what to do, Bro John said the Holy Spirit spoke to his heart and said, “John, take them home!” Can you imagine going home to your wife and 2 month old son with 16 more children? Can you feel the heart he had for these children and their welfare? John’s house is very small, but he obeyed and his wife were more than happy to receive them as well. The children stayed with John and his wife for 3 days, receiving food and love. John and his dad were able to share the gospel with the children and share about the love and mercy of Jesus Christ. They instructed them to worship no God except Jesus Christ. They told them of His love for them and His promises to them. After a few days of getting their little bellies filled with food and hearing about Jesus, the social services came and took the children to a state run orphanage. This was heart breaking to John because he shared with me how the ladies who run the state orphanage were strong idol worshippers. We kept them in our prayers. After a couple of weeks of this, and realizing the children would not cooperate in idol worship, the social workers finally became exasperated and threw the children out of the state’s care. They told them, “Since you will only worship Jesus, then let Jesus and Pastor John take care of you.” With that, the children were on the streets, alone and hungry. They walked, barefooted and scared, back to Bro John’s home and related the story to his wife. When Bro John came home, his wife told him the story and he immediately approached the small group of believers in the village church where the children were from. The church decided to use its building as a place for the orphans to stay. Their house of worship would double as an orphanage. Real ministry in real life. The local government gave permission to use the church for an orphanage. To illustrate the mercy and plan of God, I want to share another piece to the story. While the children were at the social services, Bro John and I shared the gospel to the village church in a memorial service for the loved ones who perished in the flooding. I spoke via telephone and he interpreted. The church and 15 visitors came to hear the message. 6 of the visitors surrendered their lives to Jesus after hearing about the love of God and eternal life through Christ. One of the converts was a lady who had never come to church and had been a prostitute for many years. You can read her testimony here. She was radically transformed by the Lord and is now serving as one of the helpers who provides daily care for the orphans! She is able to give and receive pure love to these precious children. Her life has a great purpose now. Hallelujah, what a Savior. Therefore, by God’s grace, the Lord placed Susanne and I in a position to help provide provisions for these little ones. 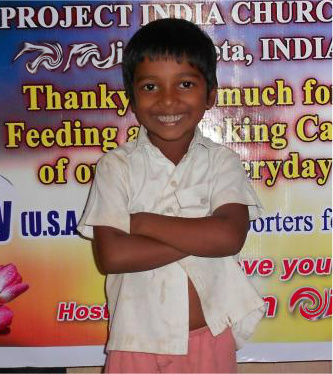 (They range in ages from 5-11) This is how the PROJECT INDIA Orphanage began. We did not go out to start one. Instead, we just obeyed God’s call to help Pastors and train Church Planters and the need for this orphanage literally fell into our laps. We could not turn our hearts and minds from the need of these little ones who have suffered so much and have our conscience clear before the Lord. It has been a joy to our heart to help, as well as a burden to provide the help needed. It is a call to faith as we do not have the means to provide for all of them. We just keep praying and asking the Lord to speak to the hearts of those who can help us help them. The children in the photo at the beginning of this article are the 16 children we are taking care of. Please pray for them and for the workers in the orphanage. 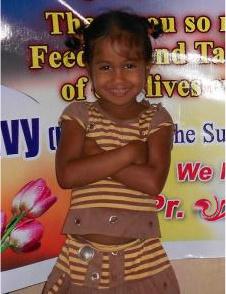 We provide food and clothes for the orphans, as well as teaching for a basic education. If you would like to help, you can give online here. If you prefer to contact through email, phone or mailing address you can reach me here.